Uzdam se. 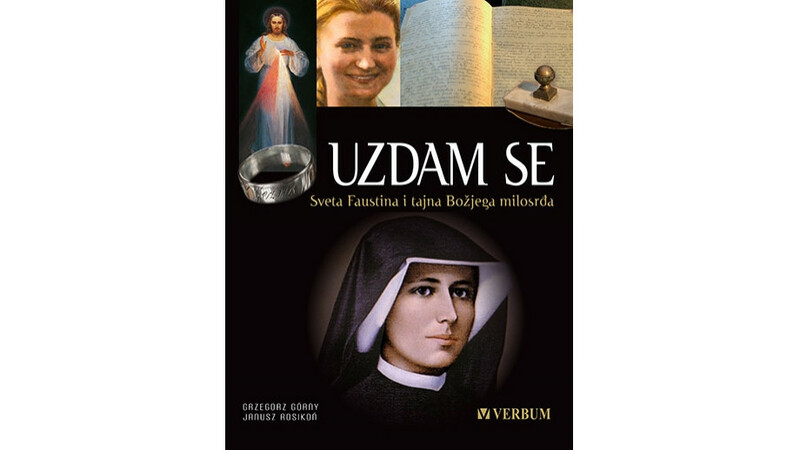 Sveta Faustina i tajna Božjega milosrđa, which is the title of the Croatian edition of this book, has been recently published by the Verbum publishing house in Split. The Richly illustrated book Ufam. Śladami Świętej Siostry Faustyny is yet another item in the output of the recognised duo: journalist Grzegorz Górny and photographer Janusz Rosikoń. This time, the authors set themselves the goal of tracing the life of the world’s greatest mystic of the twentieth century and answering the question of how it happened that, in a very short time, the cult of Divine Mercy gained multitudes of faithful worshippers on all continents. The authors managed to visit all the places where the protagonist of the book stayed (in Poland and Lithuania), collecting unique factual and photographic material about her. They also reconstruct the turbulent history of the Divine Mercy cult after Sister Faustina's death - from the indifference of the hierarchy, through the prohibition of the Holy See, to the full acceptance of the Vatican. Consequently, we have a book that is a fascinating story of an intense and fulfilled spiritual life in the restless 20th century. The translator of the book, Goran Andrijanić, as part of the ©POLAND Translation Programme, is also working on the translation of Ryszard Legutka's Triumf człowieka pospolitego (‘Triumph of the Common Man’).